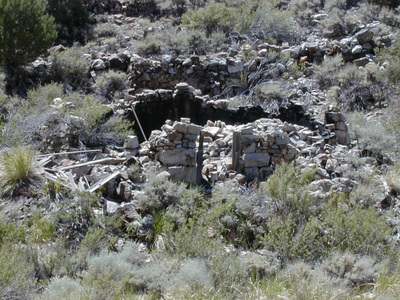 ​Charcoal was essential for the smelting process, and by 1879 about 175,000 pounds per day were required by the smelters. The following is taken from Eureka Nevada: A History of the town, Its Boom Years 1879-85 by Judith K Winzeler and Nancy Peppin, 1982. 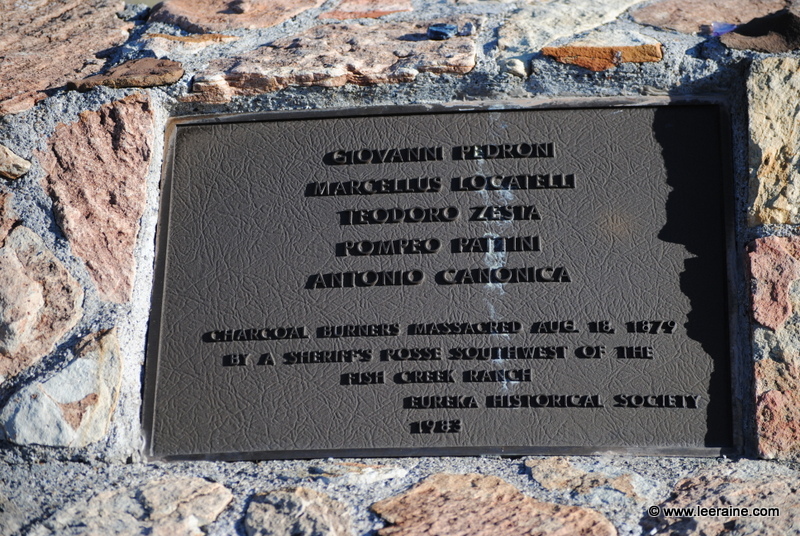 Supplying fuel to Eureka smelters was big business between 1870 and 1880, but by the summer of 1879 trouble developed among the carbonari, the teamsters and the smelter owners. The situation came to a head when the carbonari formed the Eureka Coalburners Protective Association at Celso Tolli's local Italian saloon where the burners prepared a list of demands, especially an increase in the price paid for charcoal from 25 cents to 30 cents per bushel. On July 7 charcoal burners assembled at the Eureka Opera House, the only place in the camp large enough to accommodate all of them. Beginning July 8, a “take notice” advertisement was published in the local Eureka Sentinel for ten days asserting the new demand, an emphatic statement. Further, the carbonari demanded that they be paid in cash and, further, asked for full disclosure from the teamster’s receipts showing how many bushels have been sold. The Association which had grown to 1,196 members threatened to cut off supplies of charcoal unless their demands were met. On the morning of August 9, six coal burners entered the home of teamster, George Lamoreux, dragged him from his bed, and threatened to beat him if he continued to haul charcoal. Later that day he drove to a charcoal ranch to pick up a load. But when confronted by the carbonari, he returned to Eureka with empty wagons. About that same time, Robert Brown was prevented from loading charcoal and he, like Lamoreux, took the matter up with the local sheriff. The local press reported allegations of misconduct on both sides. When Eureka’s smelter operators united to slash the price they would pay for a bushel of charcoal to 27 cents instead of the current 30 cents on the grounds that declining quality of ore no longer would allow them to pay the higher price, trouble began. 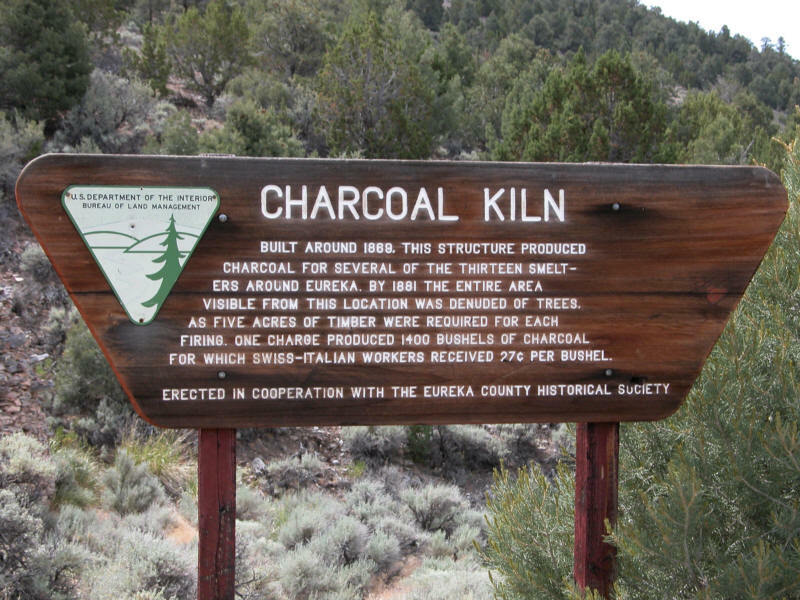 The burners’ Association rejected the reduction by refusing to permit further charcoal deliveries to the smelters and, on August 18, forcibly took possession of the Eureka. 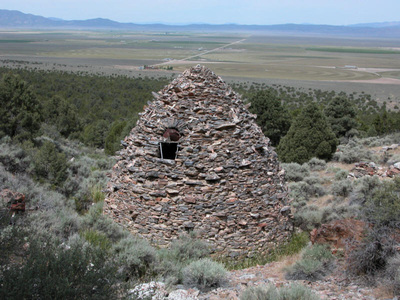 In response, Nevada Governor Kinkead quickly called into active service the state militia and ordered them to the stricken camp. The Fish Creek War was on and the ensuing strife was principally over the price of charcoal. 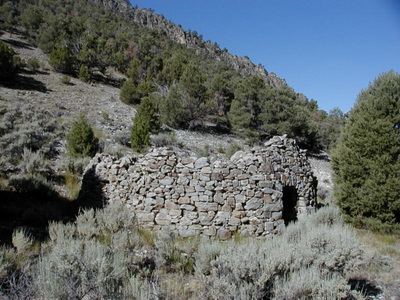 When the well-armed militia arrived, a lull in the fighting ensued until August 18 when a 9-man posse headed by Deputy Sheriff Simpson, attacked a charcoal camp on Fish Creek, 30 miles south of Eureka, and in a one-sided battle killed five of the coal burners, wounded six others and took several prisoners. None of the lawmen suffered damage except to reputations, the posse being criticized for the tactics employed.